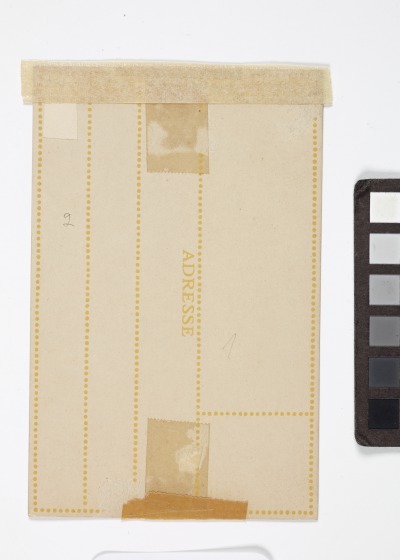 In an effort to permeate all facets of life, the Wiener Werkstätte elevated ordinary objects, such as postcards, to the status of objets d’art. 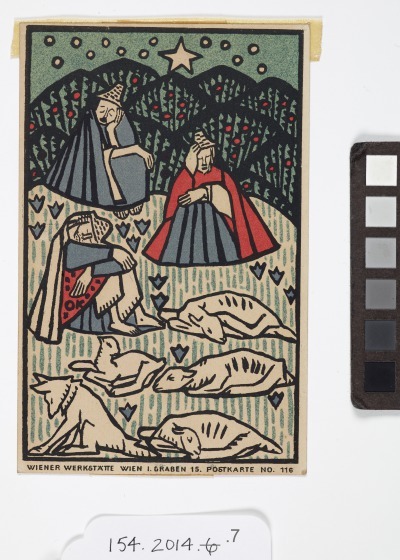 _In 1905, Carl Otto Czeschka designed the first Wiener Werkstätte postcards—a Christmas card and a New Year’s card printed in editions of approximately one hundred and distributed to employees and friends of the company. 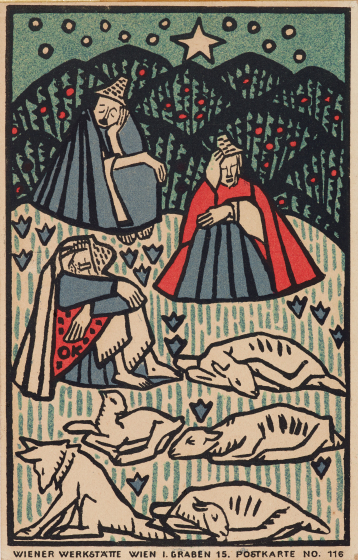 Oscar Kokoschka, a one-time pupil of Czeschka, designed this postcard, marked with his monogram “OK” and characterized by the bold lines and flat fields of primary colors that are common in his graphic designs, including the illustrations of _Die träumenden Knaben. Samantha Robinson, DMA label copy, 2014. Read a biography of Oskar Kokoschka.